First Go For Launch! of 2017 was out of this world! The first Go For Launch! 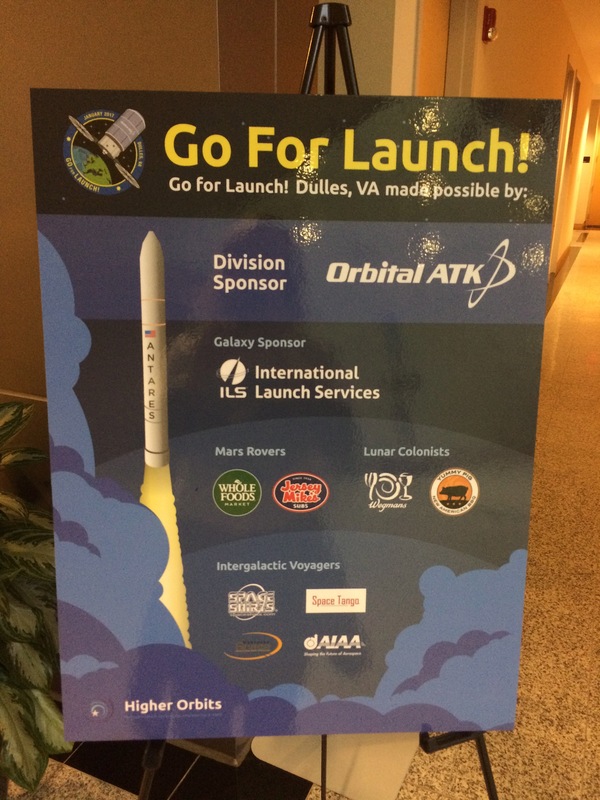 of 2017 was held in Dulles, VA at the Headquarters of Orbital ATK who is also a Division Sponsor for Go For Launch! More than 50 students from the local area (some driving more than a hour each day to attend and some even coming to stay with family members locally because they were from other states!) participated and had the opportunity to work with more than a dozen professionals in the Space & STEM industry including Astronaut (Retired) Frank Culbertson who is currently the Space Systems Group President with Orbital ATK, Astronaut (Retired) Don Thomas, Various engineers and professionals from Orbital ATK and Jody Davis from NASA who has worked on the Mars Rover as well as the James Webb Space Telescope. Students worked on teamwork, leadership and communication skills throughout the event and though most of them did not know the others on their team when they arrived, they grew as a team and worked hard one each of their tasks. 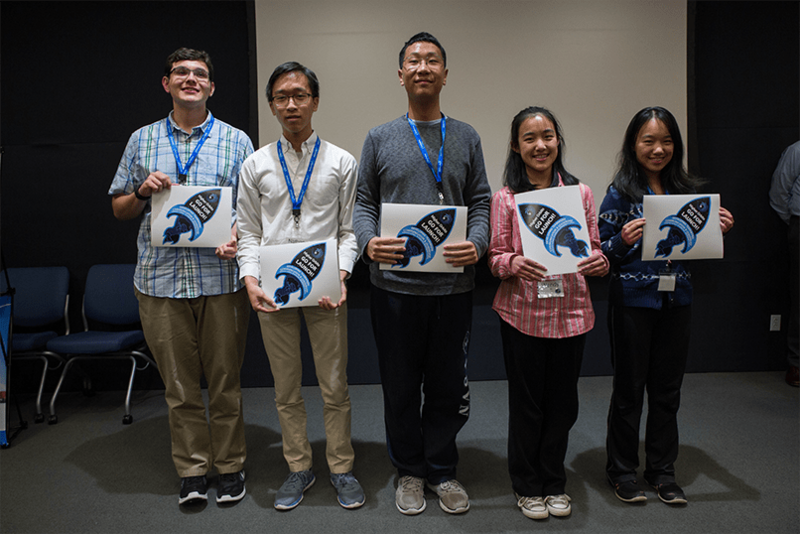 It truly was an impressive group of students! This event had a unique “flair” as it is the only event (so far) to have an actual space suit brought in! 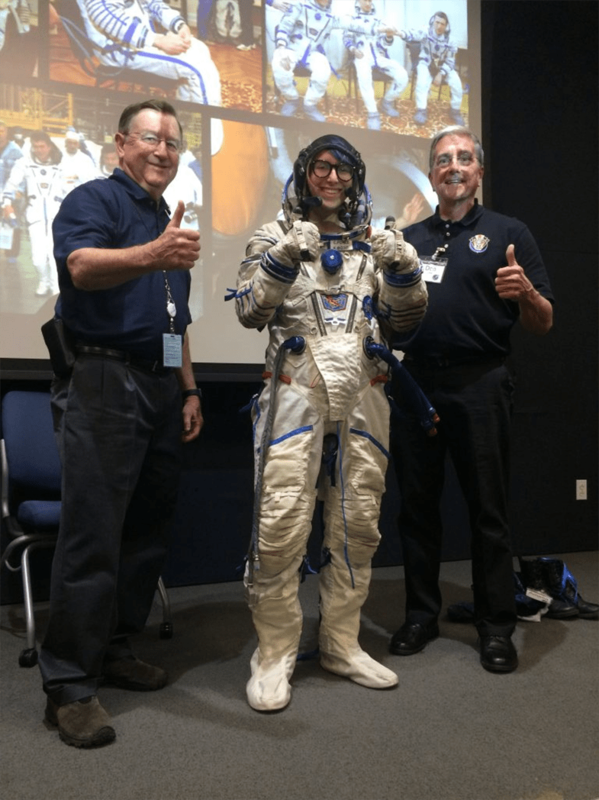 Astronaut Don Thomas was kind enough to bring in a space suit that he has on loan from the Heinlein Trust. And 2 students even got to try it on! So cool! 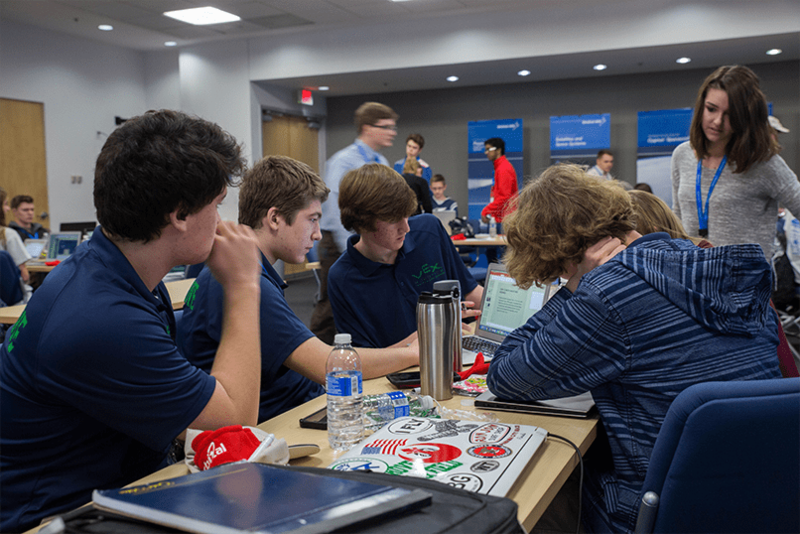 On the final day each team presented their experiment design ideas to a crowded room as many parents friends and family turned out to watch. 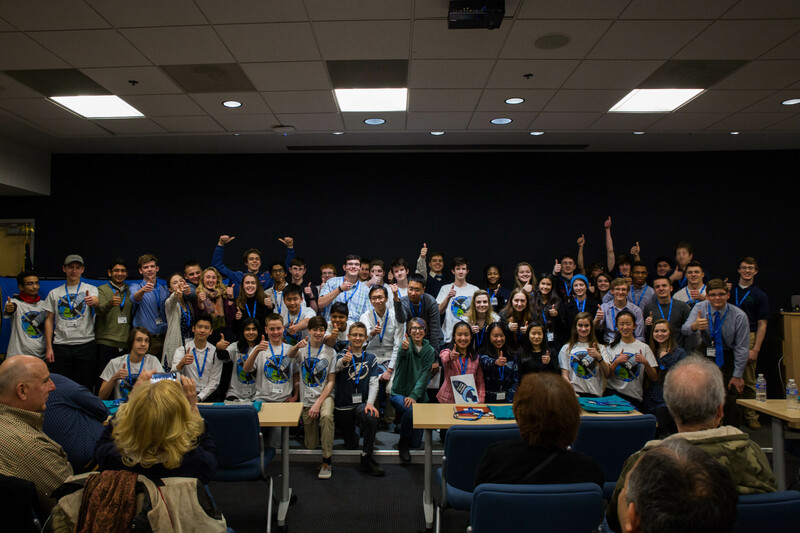 The entire panel of judges, which included Astronaut Frank Culbertson, ILS International Launch Services President Kirk Pysher, COO of ILS John Palme and other esteemed professionals from Orbital ATK, as well as our own Michelle Lucas of Higher Orbits had an incredibly difficult job in choosing a winner from amongst the 9 teams. All of the presentations were outstanding! The students taught all of the judges something, that’s for sure! The winner of this event was Team STEM Power. 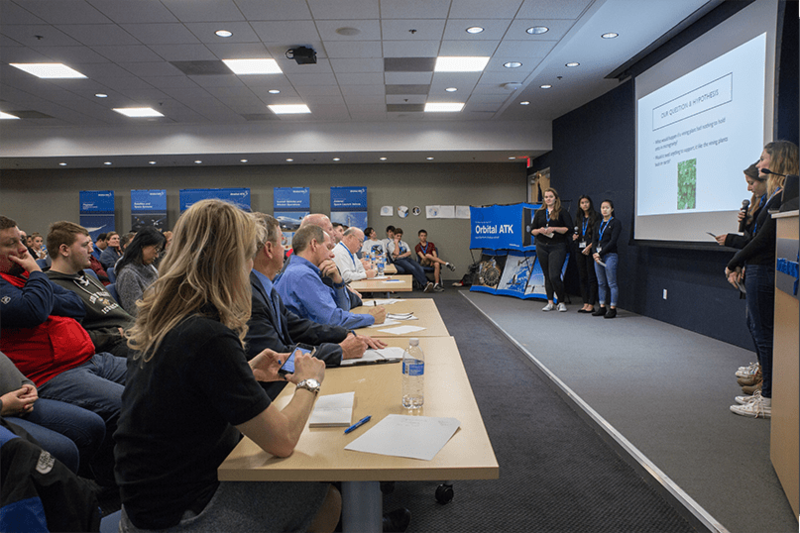 Their experiment will be competed against the other winning experiments in this division (The Orbital ATK Division) and the division winning experiment will be launched to the International Space Station aboard a Cygnus spacecraft! All of the students should be incredibly proud of themselves as they all did a truly stellar job! The future is bring for all of these STEM Stars! 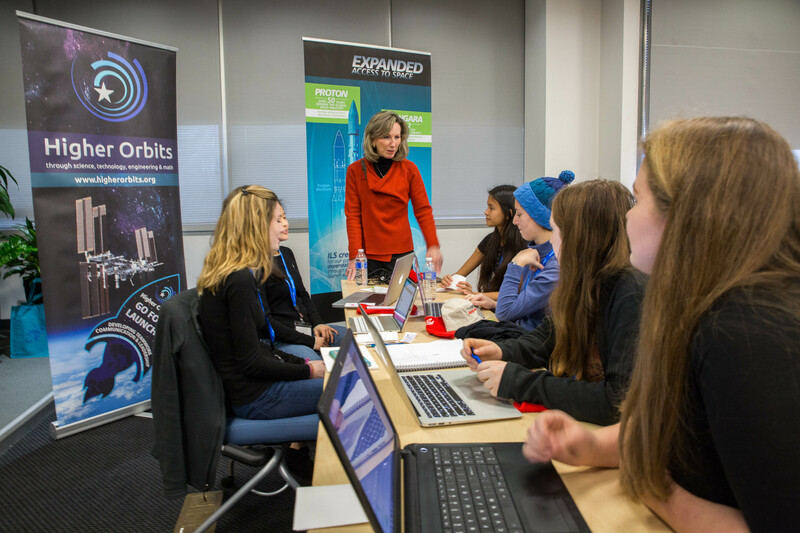 We want to thank our Division Sponsor Orbital ATK for their incredibly generous support of Go For Launch! and for hosting this Go For Launch! event. We appreciate their tremendous support and are thrilled to be working with them on numerous events. We also want to thank ILS International Launch Services for their Galaxy Sponsorship of this event. We are grateful for their support of this event and look forward to working with them again in the future! Thank you to Whole Foods Northern Virginia, Jersey Mike’s (Local Area), Wegmans & Yummy Pig! And last but not least thank you to our Intergalactic Voyager Sponsors Space Tango, Space Shirts, Kentucky Space & AIAA. Without our sponsors Go For Launch! simply wouldn’t be possible so thank you! We also want to thank Congresswoman Barbara Comstock for stopping by to visit the event. The Congresswoman talked with many of the students and was impressed with their experiment ideas. 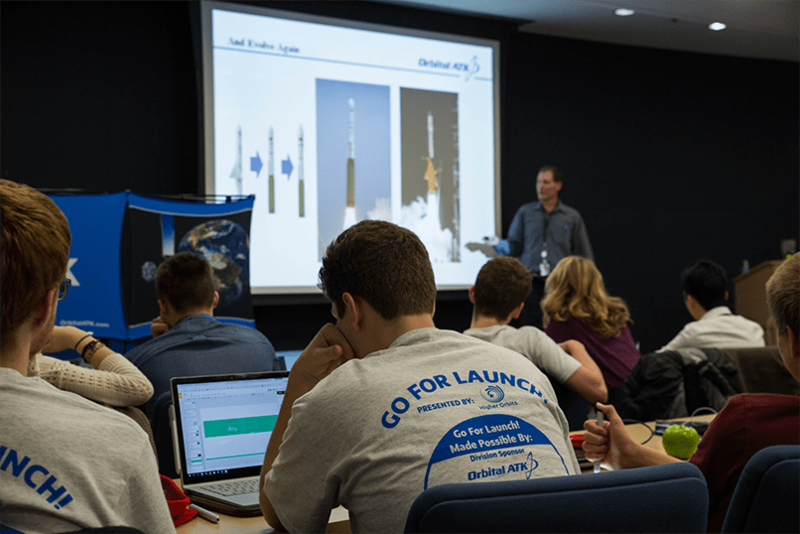 Congratulations to all the students who participated in the first ever Virginia Go For Launch! We really enjoyed working with each and every one of you and we hope our orbits cross again in the future! Space Inspires!